When was the last time you had cash on you? When did you last pay in cash? Answering these questions is easy for older generations, but millennials will surely get stuck. If you think about it, most payments today are made with cards, mobile devices, or online. How many times have you said, “I’m sorry, I have no cash on me”? Probably, countless. It seems that cash is dying a slow and painful death. The question is why is this happening? Here’s another round of thought. The point of cash has been lost for many reasons we don’t really pay attention to anymore. All of them have become a steady part of our lives. Why bother getting cash when you have debit/credit cards accepted virtually everywhere? You can easily pay for the cheapest pack of chewing gum with your card without messing around with coins. Why bother getting cash when you have several taxi apps installed on your mobile phone? Calling a taxi and paying for your ride in cash is so last-century. With Uber and Taxify, you can get a taxi in just a few steps – and within minutes – already having your debit card and address linked to your account. Your account is then charged automatically as soon as your trip ends. You don’t even need cash when shopping… Wait, you don’t really need to go shopping in the first place because you can order whatever you need online – from groceries to design elements. Technology has clearly killed cash, totally transforming our payment behaviour. Debit card is the most popular retail payment method. Contactless debit card payments have become especially popular. No wonder as they are super-fast and mega-convenient. Just touch… and go! Faster, digital payments and the comfort they bring have buried cash deep down the financial ground. Although some say that cash is still king, they clearly mean having money at your disposal, not actually holding them in your pocket. The gradual disappearance of cash is a natural step in the financial evolution, but there are those who will be affected. The elderly. Clearly, it may be difficult for them to embrace the technological changes of the new digital era as they are used to paying the old way – in cash. Beggars. People who really need help are missing out as “I’m sorry, I have no cash on me” has become our excuse #1. Cash tips. We all know that tips are always welcome, being a sign of appreciation. In some countries, even part of the culture. Also, some studies suggest that tips encourage better service. What do we mostly do these days? You already know the answer. Pay with our debit cards and leave. Then, losing the feel of real money may result in overspending. 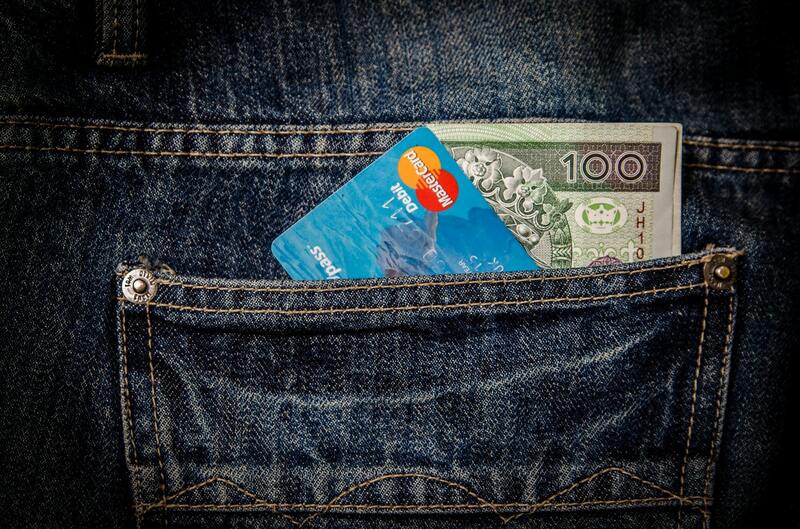 You don’t really count your money paying with your card, whereas having cash, you know exactly how much you can spend. Finally, think about privacy. Of course, you can adopt a shady religion of Dark Net and get what you need from there, but the end result isn’t worth it. Speaking about standard digital payments, you need to keep in mind that everything’s being tracked and that everything is traceable. Not a big deal for some though. We have to admit that cash seems to be on its way out. It’s neither good or bad as financial evolution takes its course, and some elements of the system become obsolete, as it always has been. What do you think? What are your spending habits? Don’t forget to comment in the section below!